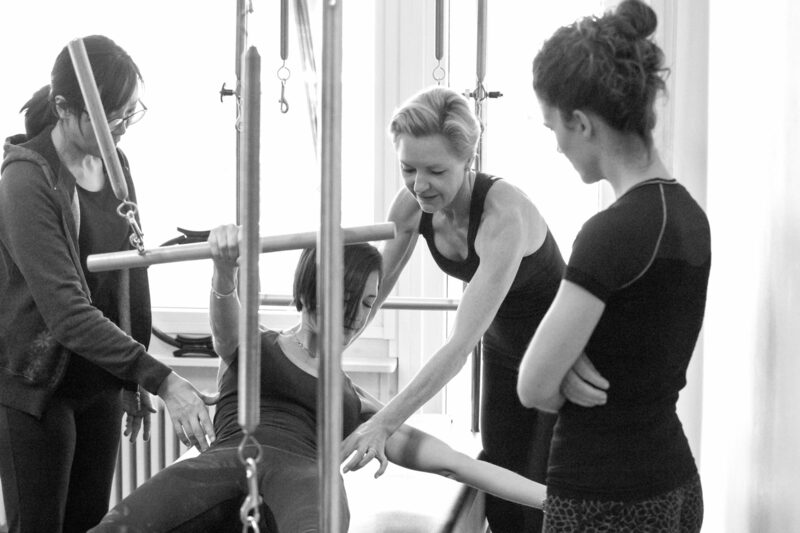 Swissbody® Pilates Academy Equipment program is divided into separate courses for each apparatus, including Reformer, Cadillac (Trapeze Table), Wunda Chair, Barrel (Spine Corrector) and Ladder Barrel. For each of the above-mentioned pieces of equipment, the courses are divided into one course for beginners and intermediate level and another course for advanced and super advanced. Completion of the entire program and the exam for each piece of equipment provides the individual with internationally recognized certification to teach up to the level achieved in private and semi-private classes. Who benefits from this course? All individuals who have completed the Level 2 and Level 3 Matwork and especially those who have completed the level 4 and 5 Matwork, will find these courses critical for expanding their knowledge of the Swissbody® Pilates Method from Matwork to the various pieces of equipment. Swissbody® also accepts students who have completed other Pilates programs with a minimum of 60 hours of course time, at least 40 hours of personal training, an ability to proficiently perform the advanced Pilates matwork and at least 40 hours of observation or teaching experience in a Pilates studio. Successful completion of Level 2 and Level 3 Matwork exam. 10 hours of personal training on the Pilates Cadillac before the course, **20 hours in total. Minimum 10 hours of observation at a Swissbody® recognized studio.